The motto of the MBA program at the A. Gary Anderson Graduate School of Management (AGSM) is "Leading Thinkers, Leading Growth," a reflection of our mission to produce leaders whose ability to think about the challenges they face will provide them with skills to lead growth in both our region and the world. Accredited by the Association to Advance Collegiate Schools of Business (AACSB), and with fellowships and other financial assistance packages available on a competitive basis, there are many great reasons to earn your MBA at UCR. Graduating from the MBA program at AGSM provides students with a world-recognized University of California degree. UCR is ranked among the most diverse campuses in the nation with a long tradition of welcoming and supporting international scholars. The faculty at AGSM features preeminent scholars and practitioners in their fields. Our distinguished faculty engages and encourages students through their own academic success and research. Educated at leading universities and serving on the editorial boards of leading journals in business administration, our faculty are also recognized experts in the fields of intellectual property management, e-commerce and marketing, entrepreneurship, finance, accounting and supply chain management. Our MBA program is situated in the living laboratory of Inland Southern California, one of the fastest growing and changing regions in the world. This environment is an ideal location where students and faculty can perform cutting-edge research and experience first-hand how business works. The motto of the MBA program at the A. Gary Anderson Graduate School of Management (AGSM) is "Leading Thinkers, Leading Growth," a reflection of our mission to produce leaders whose ability to think about the challenges they face will provide them with skills to lead growth in both our region and the world. Accredited by the Association to Advance Collegiate Schools of Business (AACSB), and with fellowships and other financial assistance packages available on a competitive basis, there are many great reasons to earn your MBA at UCR. Graduating from the MBA program at AGSM provides students with a world-recognized University of California degree. UCR is ranked among the most diverse campuses in the nation with a long tradition of welcoming and supporting international scholars. The faculty at AGSM features preeminent scholars and practitioners in their fields. Our distinguished faculty engages and encourages students through their own academic success and research. Educated at leading universities and serving on the editorial boards of leading journals in business administration, our faculty are also recognized experts in the fields of intellectual property management, e-commerce and marketing, entrepreneurship, finance, accounting and supply chain management. Our MBA program is situated in the living laboratory of Inland Southern California, one of the fastest growing and changing regions in the world. This environment is an ideal location where students and faculty can perform cutting-edge research and experience first-hand how business works. At AGSM, students from all undergraduate majors and levels of business experience are eligible for admission. In fact, more than 30 percent of all incoming students come from a background other than business and have little—if any—experience in the business world. According to the school, "There is no minimum GPA or GMAT requirement for MBA admissi...At AGSM, students from all undergraduate majors and levels of business experience are eligible for admission. In fact, more than 30 percent of all incoming students come from a background other than business and have little—if any—experience in the business world. According to the school, "There is no minimum GPA or GMAT requirement for MBA admission consideration." However, they also say "Satisfying minimal standards does not guarantee admission, since the number of qualified applicants far exceeds the number of places available," meaning that you'd best do your best. It is worth noting that because the school doesn't require prior work experience, all prospective MBAs must complete an internship "to ensure your success upon graduation." The A. Gary Anderson Graduate School of Management (AGSM) is all about growth. We are the school of choice for students, recruiters, and faculty members who wish to focus on how to identify and evaluate growth opportunities, how to launch and develop, as well as manage and sustain those opportunities. AGSM faces the important growth markets of the future along the Pacific Rim, in Asia, and in South America. All of the growth industries of the future are in our backyard: biotechnology, nanotechnology, information technology, communications, and health care services. AGSM is also about personal growth; we challenge our students to grow as individuals, as leaders, as managers, and as contributors to community. We invite you to come grow with us. AGSM oversees all graduate programs, including the MBA, Ph.D. in business administration and Master of Professional Accountancy (MPAc). The MBA curriculum balances the art and science of management, with an emphasis on managing through information, and recognizes the global context of management. The program stresses the essential interdependencies that exist across functional areas, emphasizing the development of superior management skills as well as theoretical foundations. The Ph.D. program is an academic program that will provide candidates with the chance to do intensive research in the field of business. 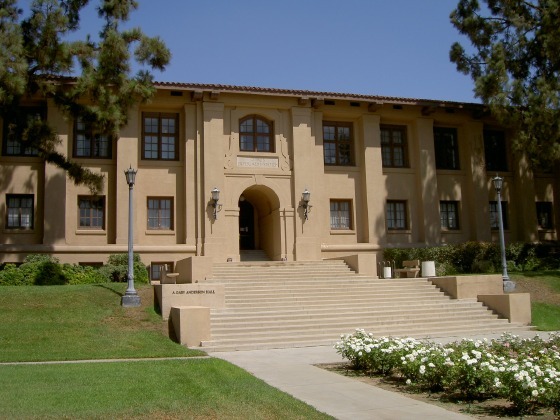 It is built upon an interdisciplinary theme with collaborations from other departments at UCR, including economics, sociology, psychology and statistics. Want more info about University of California - Riverside A. Gary Anderson Graduate School of Management Full Time MBA? Get free advice from education experts and Noodle community members.